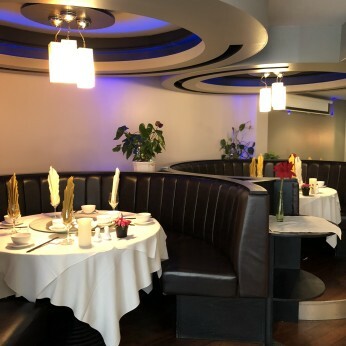 Having many years of experience and history in their hometown, they pride themselves on exceptional attention to detail and hospitality, and above all serving great oriental cuisine in what is the place to be seen in Chinatown. Located at the head of Stowell Street on the ground level of the Q-PARK car park, as soon as you step in you are greeted by a fabulous bar that will serve you fine drinks , world beers ,wines and champagne.The Restaurant itself is split level so as well as the bar reception area there are relaxing and intimate dining booths, leading down into the main restaurant where there are further booths and large round banqueting tables where celebration and business dinners are held.The restaurant caters for all special events and booking is essential . We’re open this Saturday big match day , open all day from 1pm . Come and enjoy a drink or meal before or after the BIG Match .